As history beckons today on the Golden Jubilee anniversary of Rivers State, one monument of history that cannot be forgotten amidst the pomp, pageantry and manifold emotions of the day is The Tide. It is rightly so. Lively as the victor, illimitable as the ocean, illuminating as the sun, exhilarating as the break of dawn, liberal as the boundless creed of divine testament, the Nigerian Tide (now, The Tide) has munificently provided a veritable market place of ideas that has seen Rivers State through critical stages of development since December 1, 1971, when it debuted. Thus, as Rivers people roll out the drums today to festivate the golden jubilee of the state, The Tide cannot be said to be undeserving of a special kind of celebration. If anything, it deserves a clink of good wine glasses for its own sake and for the sake of the government and people of Rivers State with whom it has shared the vicissitudes of time. 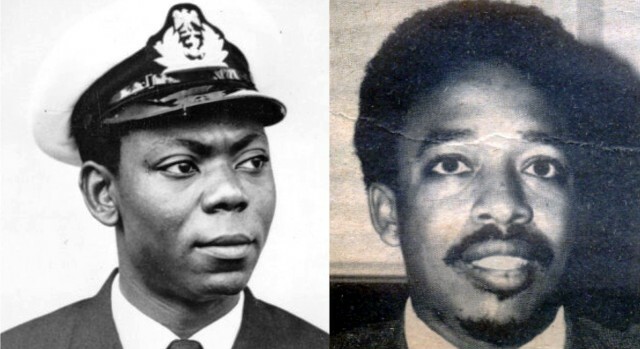 A sweeping look back at the people and events that have shaped Rivers State in the past 50 years clearly evinces the fact that The Tide has paid its dues, and well. The Tide has visited the Brick House of every Governor (or Administrator) from Alfred Papapreye Diete-Spiff to Nyesom Ezenwo Wike and is still visiting. The Tide has worked tirelessly with every administration, civilian and military and is still working. The Tide has witnessed elections and had insisted in the retrieval of the people’s stolen mandate and is still doing so in the public interest. The Tide has rubbed elbows with heroes and icons who shaped their destiny and is still doing so. The Tide has accompanied leaders and activists who fought for change from outside the traditional halls of power and is still doing so. The Tide has joined builders and titans whose efforts helped mould the society for the benefit of posterity and is still doing so. The Tide has sang with creators, artists and entertainers whose work has shaped and mirrored the society, and is still doing so. The Tide has flowed with the ideas of scientists, innovators and thinkers whose vision have changed our lives and revolutionized the society and is still doing so. The Tide has watched and told the news of pioneers who have dared to explore new ground and break down barriers. The Tide has gone to war with our patriots over resource control, fiscal federalism, ecological degradation and marginalization of our people and the entire Niger Delta region and is still doing so. The Tide has joined well-meaning Rivers men and women to effectively resist the tyranny of the majority tribes who are wont to lord it over the minority at will and is still doing so. The Tide has at all times joined the Rivers State Government to protect the interest of the government and people of the state and is still doing so. The Tide has, infact, hob nobbed with the A-list of our most influential people; individuals in the crucible of history who, for good or for ill, influenced the course of our history. It is thus irrefragable that The Tide, through, four years younger than Rivers State, occupies a pride of place in the annals of the state, having seen it all, in due diligence to the template set for it by the premier administration of the state. Determined to erase the deliberate misconceptions about Rivers State after the civil war, the Military Governor of the State, Lt Commander Alfred Diete-Spiff harped on the “crying need” of government sponsored newspaper that would “accelerate the achievement of the yearnings and aspiration of the government and people of the state”. Consequently, on August 28, 1971, Diete-Spiff established the Rivers State Newspaper Corporation (RSNC) and announced the birth of the Nigerian Tide by edict no 11 of that year (See box). Launched on December 9, 1971 as a bi-weekly, the Nigerian Tide with its blue logo, went daily on May 24, 1974. It actual marketing started on December 4, 1971. On April 12, 1973, the RSNC, publisher of The Nigerian Tide, was provided an office at No.4 Ikwerre Road, Port Harcourt, from where it produced and circulated some 120,000 copies daily to all the regions of Nigeria. With a pioneer Board of Directors that included Mr A.O. Wulechem (Chairman); Mr H.H. Jumbo, Permanent Secretary; Mr Preye Okosi, Chief Information Officer; Professor Theophilus Vincent, Chief Israel Idamiebi Brown, Chief Ashley Williams, Chief D.K.S. Ebeh, Mr George Valentine Ebinimi Spiff and Miss Joy Amangala-all with formidable background in their various field of eadeavour, RSNC was determined to tackle the “crying need” for organs of publicity which Diete-Spiff had identified. To meet that need, the corporation was structured along five departments-administration, finance, Editorial, commercial and works. The pioneer team of the newspaper included the General Manager, Mr Gabriel Okara; Secretary, Mr Godwin Namele Loolo; Production Manager, Mr J.O. Yekwe; Advertisement Manager, Mr D.O. Jumbo; Acting Editor, Mr Roland Amaewhule ; Chief Reporter, Mr Tons Fetepigi; Lagos Representative, Mr Monday Nwilepo; Chief Cameraman, Mr Igolokuma; Mr Wofuru Okparaolu, Mr Fitzallen Briggs and Woman Editor, Miss B. Obisesan. The state government, from the outset carefully recruited experienced media practitioners to run the paper. It had also provided employment for many Rivers people and non-indigenes. Many people have run the affairs of the corporation, either as General Manager, Sole Administrator, overseer, or Editor-In-Chief/Chief Executive or such other titles as the government of the day deems fit. A few others too have been heads in acting capacity for a brief period. They include Dr Gabriel Okara, Chief Okogbule Wonodi, Chief Dominic Anucha, Mr Felix Obilor, Mr Lyte Kosu, Mr Anthony Tebekaemi, Mr Edward Akpa, Mr Magnus Bara-Hart, Mr Godfrey Sikoki and Dr Anthony Amakiri. Others were Mr Eriye Iyaye, Mr Benard Graham-Douglas, Mr Dan Obinna, Mr Vincent Ochonma, Mr Dagogo Ezekiel-Hart, Mr Amabipi Martins, Mr Augustine Nwikinaka, Mr Celestine Ogolo, Mr Soye Jamabo and Sir Valentine Ugboma. The Tide and its now rested stablemates, The Tide On Sunday, Weekend Tide, Business Tide, African Tide and the Midweek Tide, have been edited by professionals, some of whom later became Editor-In-Chief or General Managers. 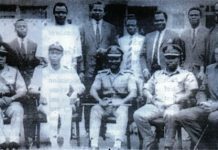 They were Mr Roland Amaewhule, Mr Maurice Domboh, Mr Tony Tebekaemi, Mr Magnus Bara-Hart, Dr Anthony Amakiri, Mr Bieshia Adolf Belgam, Mr Kwaku Joffa, Mr Balafama Banigo, Mr Bobo Brown, Mr Nendo Gawa, Mr Luky Ajoku, Chief Wofuru Okparaolu and Mr Ipalibo Karibi-Botoye. The rest were Mr Innocent Okpukpo, Mr Williams Wodi, Mr ThankGod Igwe, Chief Dagogo Clinton, Mr Soye Jamabo, Mr Celestine Ogolo, Mr Chukwuka Umejuru, Mr Monima Daminabo, Mrs Juliet Njiowhor, Mr Nengi Ilagha and Mr Friday Nwinudee. Added to these were a crop of dedicated reporters actively recruited by the corporation over the years. It is interesting to note here that most of the afore-mentioned journalists and others that were recruted later have made their marks in journalism and other fields of human endeavours. 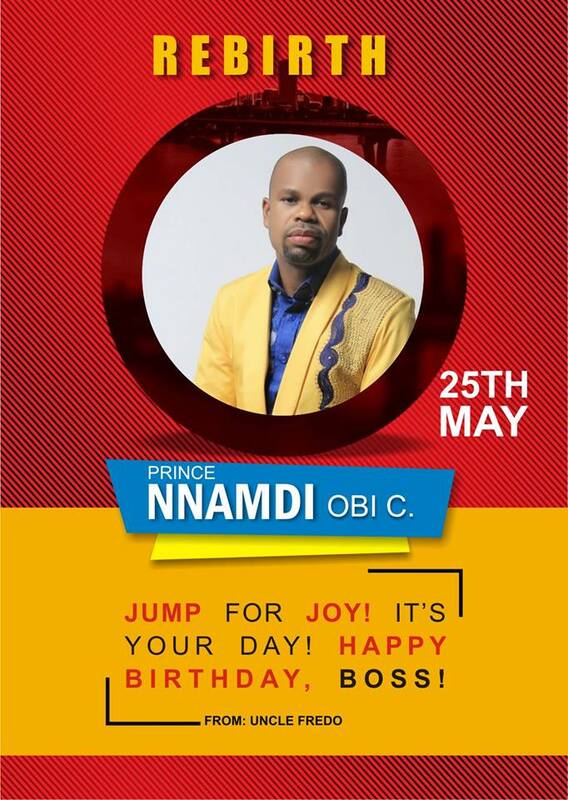 A former General Manager and Editor of The Tide, Tony Tebekaemi was to later become the General Manager of The Observer of the Old Bendel State. 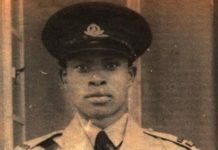 Tons Fetepigi who had had stints at the defunct West African Pilot and Nigerian Outlook was a Second Republic lawmaker; Aloys Nweke was a Third Republic legislator. Nigerian Media Merit Award (NMMA) winner, Moffat Ekoriko is the Publisher of The Moment and the London-based New African magazine, Braeyi Ekiye was President Goodluck Jonathan’s Special Adviser on Documentation, Award –winning poet and author of several works, Nengi Ilagha was Diepreye Alamieyeseigha’s Speech Writer just as Mike Ejims Enwukwe was Rivers State Budget Commissioner. 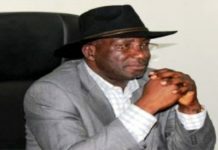 Paulinus Nsirim was Chief Press Secretary to two military administrators and Ex-Governor Celestine Omehia, Prose stylist, novelist and poet, David Diai is currently the Publisher and Editor-In-Chief of the on-line medium, Flashpoint and a Special Media Assistant to Delta State Governor, Senator Ifeanyi Okowa. Chief Wofuru Okparaolu was a Commissioner, Rivers State Local Government Service Commission and pioneer Chairman of Nigeria Union of Journalists (NUJ), Rivers State Council. 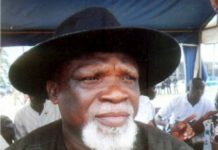 Senibo Bobo Brown was also an ex-chairman, NUJ, Rivers State and former Managing Director of the defunct Garden City Sunray and one-time President, Nigeria Institute of Public Relations (NIPR). The list is endless. Forty six years in the existence of a newspaper as The Tide, certainly something worth crowing about, just as the 50 years of Rivers State, given the tempestious see that has characterised Nigerian journalism. That most of its contemporaries – The Herald of Kwara, Standard of Plateau, Voice of Benue, the Statesman of Imo, Daily Star of Old Anambra, The Triumph of Kano, The Observer of Bendel (now Edo), The Lagos Horizon, The Chronicle of Cross River, The Renaissance of Defunct East Central State, The Sketch of Old Western State and later day tabloids like The Ambassador of Abia, The Pioneer of Akwa Ibom, The Waves of Bayelsa-have either fallen by the wayside or are not fairing any better, testifies to the dream of its founders and the religious preservation of professionalism by those who have, at various times, been at the helm of its affairs. 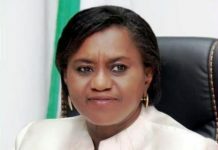 It is for that reason that Sociology teacher and Assistant Director of the Clande Ake School of Government, Dr Sofiri Joab-Peterside, while reviewing the people and institutions that have shaped Rivers State in the past 50 years, said that the history of the state would be incomplete without a special mention of The Tide. Insisting that The Tide had been a symbol of Journalism in Nigeria for its pungent editorials on matters of public interest, the university don said the paper deserves the support of the people, companies and organizations in the state. We cannot agree more. At the risk of sounding immodest, it can be said that The Tide has come of age. However, longevity is not the only apparel that it wears. The paper has, within limits of human fallibility, championed the cause of Rivers people and achieved their true aspirations. It has served the best interest of government at all times and had also played crucial roles in ushering and sustaining democratic values in the state. Nothing really evinces that more than the “Abandoned property” saga of the 80s between Rivers and Imo State government when both states disagreed so sharply that they engaged in a fierce press war. The Tide, expectedly, lived up to its billings as the defender of the government and people of the state. Of course, The Tide won the war as our more populous Igbo neighbours eventually discountenanced their agitations over the properties in Port Harcourt. Recalls veteran journalist and media consultant, Fitzallen Briggs; “We used Nigerian Tide to fight the Ibos. Today the Statesman will say something, tomorrow the Nigerian Tide will finish them. “Our editorials were lucid, pungent and hot that Radio Nigerian was airing them daily. An entertainment column ‘The Tide Beats’, edited by Jossy Jacks and later by myself, made youths crazy. “The Tide sold like hot cake. Vendors were using it to sell epileptic papers. The Tide hardly had unsold copies and we were running three editions with the first one moving between 1pm – 2pm to our outstations”. For this, Briggs adds: “Rivers State Government and its people owe The Tide a wealth of debt”. 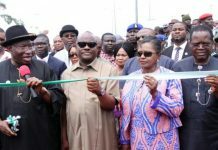 Added to these, Tide had also walked the tight rope of multi-ethnic balancing and sectoral unity while countering the minority stigma attached to Rivers State. “The Tide”, observes an elder Statesman, “may not be fantastic at all times, but until it carries a statement, the Rivers State Government has not spoken; until it takes a stand, the people of the state have not been heard”. The Tide is, indeed, pleased to have served Rivers people and indeed Nigerians so religiously all these years, hence it deserves to be greatly celebrated. Notwithstanding its chequered history, as is the case with state-sponsored newspapers, The Tide will continue to flow and will not ebb or give in to the occasional fluctuations of the tide of the sea. What this means is that the commitment of successive government to keep The Tide dream alive must be sustained for posterity and even more as a tribute to the founding fathers, especially Diette-Spiff who dreamed it and realized it and in whom we owe eternal gratitude. Thank goodness. The Tide’s new helmsman, Mr Vincent Ake, a veteran journalist, has started repositioning the paper in consonance with government’s new vision and developmental agenda rather than as a tool for propaganda or misinformation. That effort is being complemented by a team of professionals who have already keyed into the dream of a greater Rivers State. These are Donald Mike-Jaja, Acting Editor; Goodluck Ukwe, Acting Chairman, Editorial Board; Amieyeofori Ibim, Research and Training Editor; Nelson Chukwudi, News Editor; Victor Tew, Political Editor; Boye Salau, Op Ed/Features Editor; Gabriel Nwanetanya, Sports Editor; Ibelema Jumbo, Business Editor; Tonye Ikiroma-Owiye, Director, Special Projects; Mrs Abiebuka Johnson, Director, ICT; and Donatus Ebi, Acting Production Editor. As Rivers State marks its 50 years of existence, all The Tide is asking for is an increased patronage and support to enable it serve the society even better than envisaged by the founding fathers of the state. As a the timeless index of development of society, The Tide, on its part, will, within the dictates of journalism best practices, continue to pursue those goals that would ensure the attainment of “a desirable social change” as encapsulated in the editorial of its maiden edition in 1971.